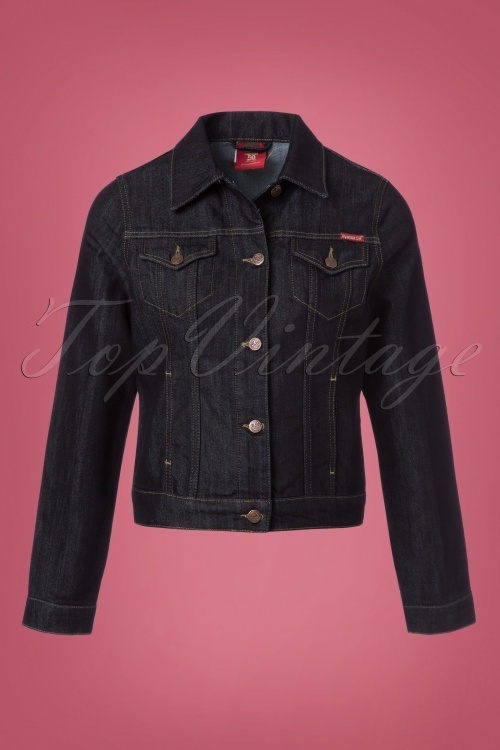 This 50s Ladies Jeans Jacket in Denim Blue is going to bring you lots of joy, all year long! Spring, summer, autumn or winter... this Ladies Jeans Jacket can't be missed in any wardrobe! She features long sleeves, contrasting stitching, two patch pockets at the front and side pockets. She is super comfortable to wear thanks to the sturdy, dark blue indigo cotton blend with a light stretch. And on top; she looks absolutely fantastic! 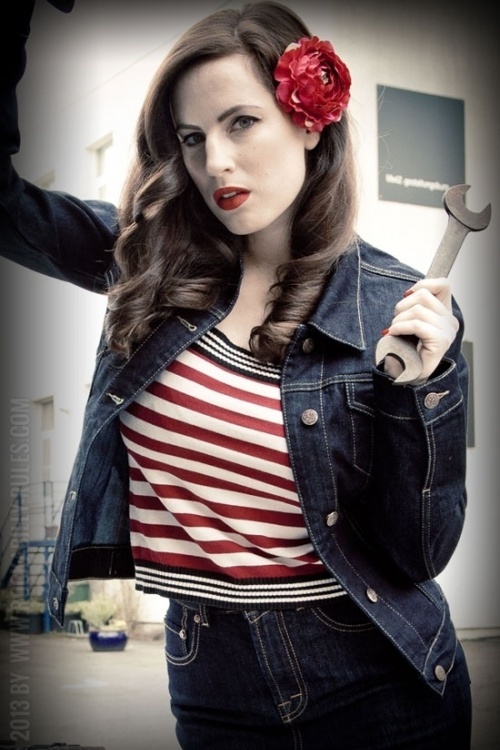 Put those boring jackets back in your closet because we're going to live like rockabella's from now on! Please take a good look at 'Care & Product details'! Note: Please wash this denim beauty always inside out and with similar colours, because the slightly pre-washed denim could loose a lot of dye. Because the dark dying could only be realized - and could last a long time - if the denim is dyed with indigo for several times. Indigo isn't colour-fast which brings the typical, natural ageing process of blue denim. 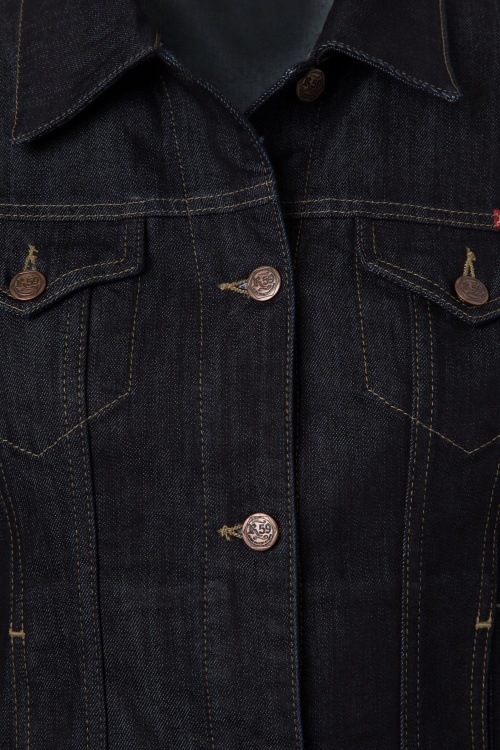 Although you should take care with all light fabric covers, wallpapers and bags while wearing this denim. There also may be staining on light clothing such as underwear, sox and shoes just effected by body heat. We can not be held responsible for this. De wijnrode jas is prachtig. Hele mooie kleur en een aparte uitstraling door de stof. Hij zit als gegoten. Het jeansjasje valt vrij klein maar het past. Als je tussen 2 maten inzit, kun je beter de grotere nemen. Een mooie donkere kleur blauw en goede kwaliteit. Het blauw/zwarte tartanjurkje is geweldig! Het zit als gegoten. Al met al weer heel tevreden met de aankopen.